Hi Everyone! A few of the highlights from Team USA’s recent trip to Istanbul for 2012 JGP Turkey. WOW! Not only was that the name of our hotel, but it is a word that captures my experience at JGP Turkey. The past week in Istanbul was unbelievable. From the moment I got off the plane, I felt something special about this city and event…the people, the culture, the rink, the sites to see, my unreal teammates, our spectacular team leaders and doctor, reuniting with friends from past events, making new and taking away cherished memories. I was also fortunate that my mom, my amazing Aunt Gayle and cousin Lisa, and my mom’s best friend Sue all made the trip to Turkey to support Team USA and, of course, tour this historic city. The event as a whole was truly fantastic! The hotel was beautiful, and probably because we were in a somewhat remote location, the LOC provided coaches, parents and skaters with all of their meals in a big open dining room during the week of the competition. What a treat to have authentic Turkish food with the whole team! All the skaters did such a great job this week!! Because of how the schedule worked out, I only got to cheer on the ice dancers in the stands loud and proud during their short dance event!! Both teams were incredible and so much fun to watch. Lorraine McNamara and Quinn Carpenter ended up fourth overall and Kaitlyn Hawayek and Jean-Luc Baker finished fifth. In singles, Leah Keiser, Nina Jiang, Shotaro Omori and I finished first, 11th, fourth and first, respectively! For some of us, myself included, this was our second and last event, and for others it was their first JGP event of the series. Our outstanding team leaders, Kathy Slack and Rick Perez, and our remarkable doctor, Mahlon Bradley, were so supportive throughout the entire event and truly made the competition amazing for all of us! The rink was beautiful. The outside was made of marble and was a huge facility containing an awesome workout room, Pilates/ballet room, a terrific rink with great ice and WIFI! The volunteers at the event were so friendly and helpful, as were the people we met while touring parts of the city! On Saturday, after the exhibition, the entire team, including Rick and Kathy, went bowling across the street from the hotel. We split up in two lanes, and Quinn and Jean-Luc won in their lanes! It was a great way to wrap up such a great week! I’m pretty sure we all decided to join Team USA bowling. The sites to see in Istanbul were incredible. My family and I went to the famous Grand Bazaar. It was so cool! It’s an indoor labyrinth of small shops and bright colors, which sell almost anything you can imagine from clothing to the well known “Turkish carpets” to traditional and gorgeous handcrafted items! I stayed an extra day after the event was over, and my mom made sure that my coach, Kori Ade, and I saw and did as much as possible. We started our day with at the Blue Mosque named for the presence of blue mosaic tiles covering its interior walls and domes. The enormity and design is indescribable. It was a magnificent blend of ornate decoration and simple purity. Across from the Blue Mosque, is the Hagia Sophia, a huge beautiful structure which served as both a church and a Mosque throughout the centuries. Also nearby, we walked around the underground cisterns, which used to serve as a water source. What struck me most was the complex engineering necessary to build this cistern in the sixth century. We ended our day by going to a Hamam, a Turkish bath. What a cool experience! It’s pretty much a soapy massage, in an open marble room that is kind of like the temperature of a sauna, where you lie down on marble slabs and get scrubbed head to toe along with getting hot and cold water poured on you! A relaxing end to an unbelievable day and incredible trip! Everyone on the team loved having the honor of representing our country! We are so thankful for the opportunity! 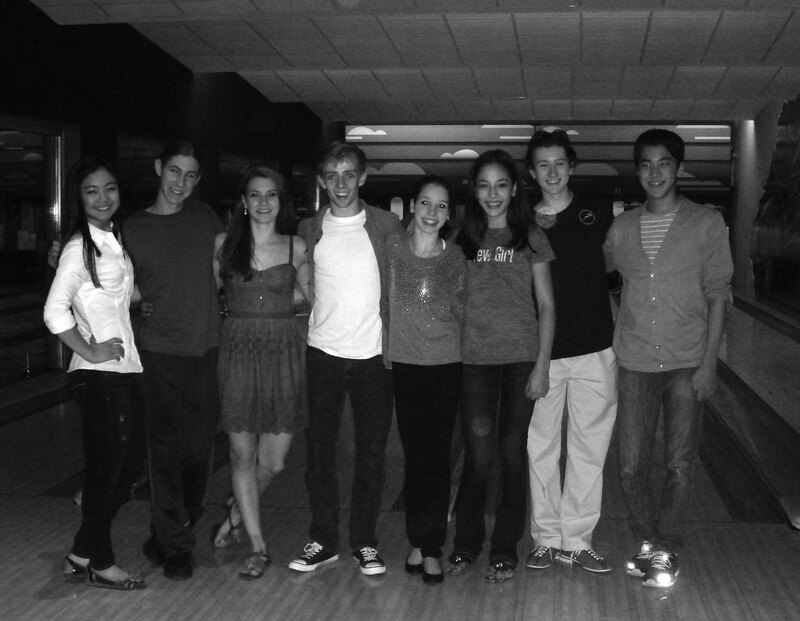 I wish all the best to all the U.S. skaters who will compete in the last three JGP events! GO TEAM USA!